Rubens Santoro – private collection. 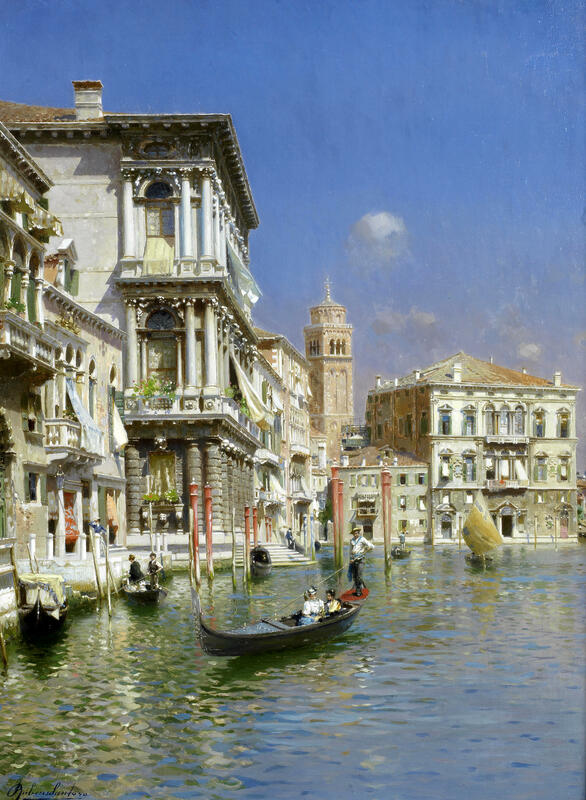 Title: Gondolas on the Grand Canal, Venice. Date: c. 1880-1940s. Materials: oil on canvas. Dimensions: 50.1 x 36.8 cm. 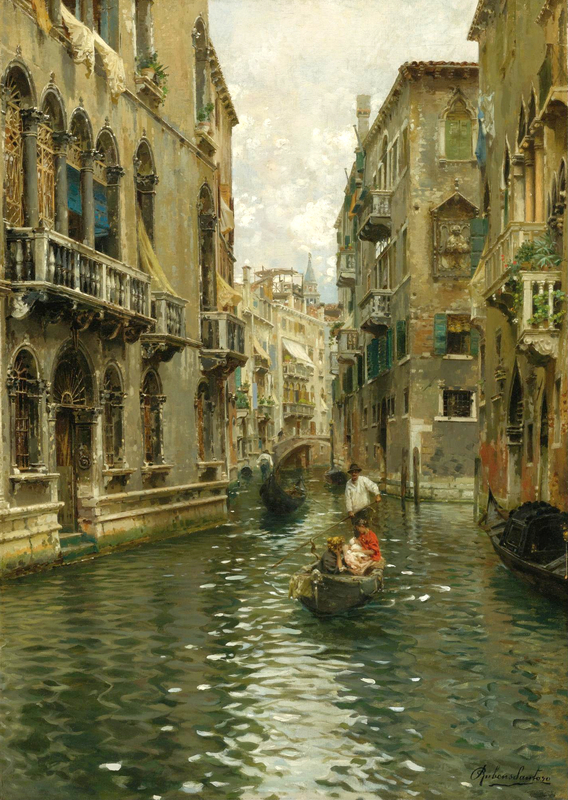 Sold by Christie’s in New York, on October 31, 2012. 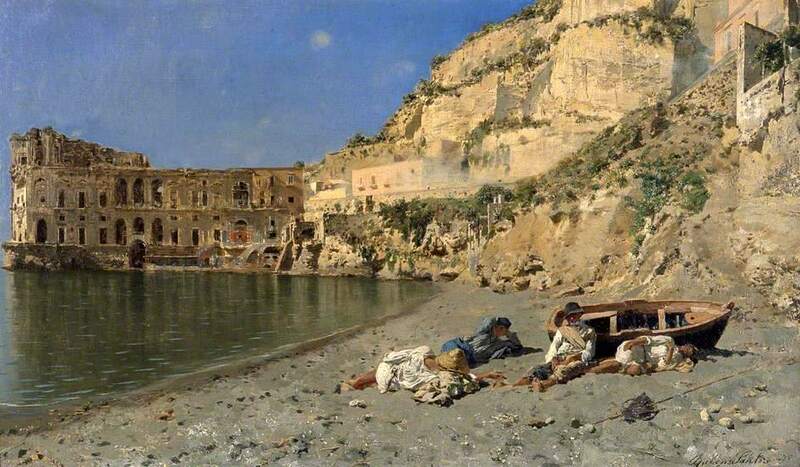 Source: https://www.blouinartinfo.com/galleryguide-venues/289546/past-results/107155. I have changed the light and contrast of the original photo. Rubens Santoro – private collection. 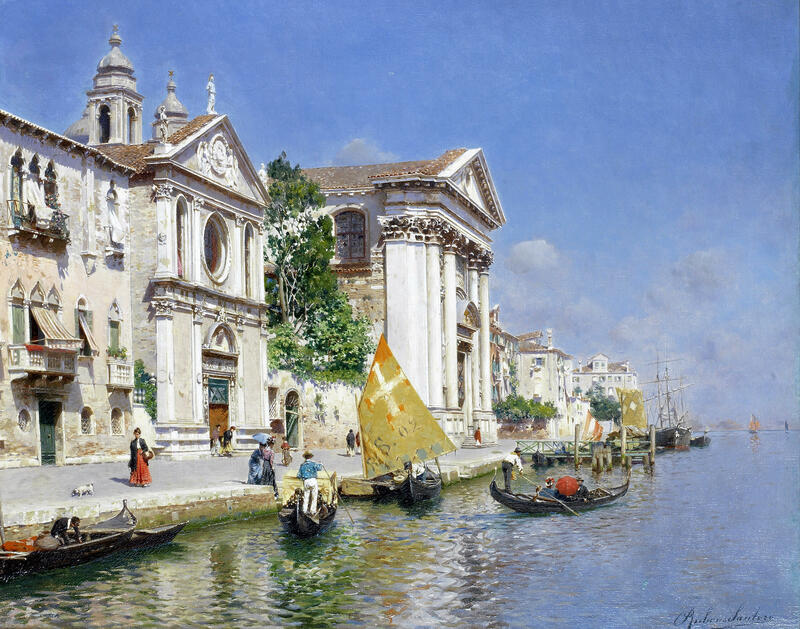 Title: The Grand Canal, Venice. Date: c. 1880s – esrly 1940s. Materials: oil on canvas. Dimensions: 38.5 x 50.5 cm. Inscriptions: Rubens Santoro (lower left). Auctioned by Sotheby’s in New York, on April 24, 2009. Source: http://www.sothebys.com/content/dam/stb/lots/N08/N08542/N08542-6-lr-1.jpg. I have changed the light and contrast of the original photo. Rubens Santoro – private collection. 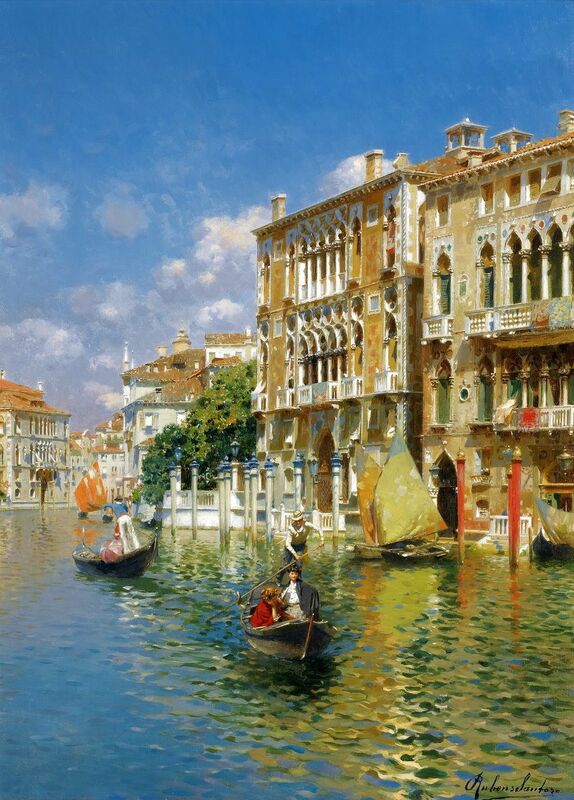 Title: Gondoliers in Front of the Palazzo Cavalli-Franchetti, Venice. Date: c. 1880s – early 1940s. Materials: oil on canvas. Dimensions: 51 x 37 cm. Inscriptions: Rubens Santoro (lower right). Sold by Sotheby’s in London, on Noember 22, 2011. Source: https://i.pinimg.com/originals/94/7c/1a/947c1abc63342acbf0cfc25e2a5c9328.jpg. Rubens Santoro – private collection. 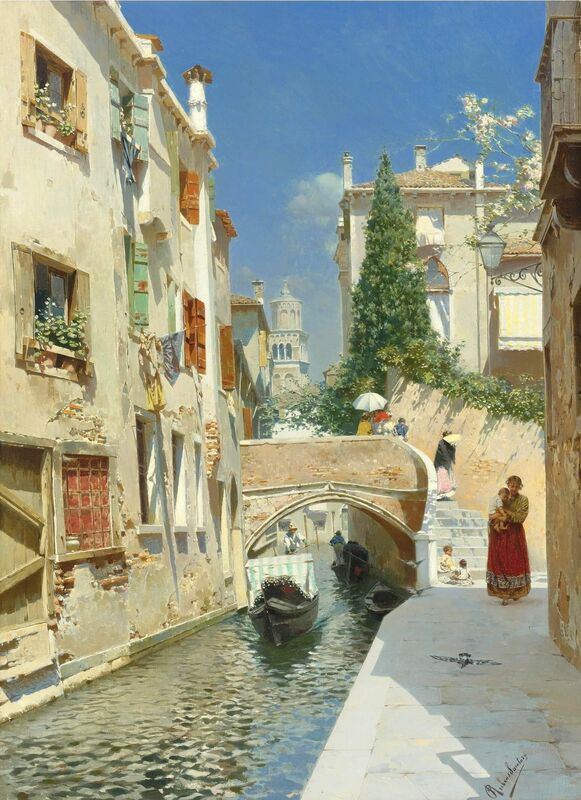 Title: Gondoliers on a Venetian Canal. Date: c.1880s-1930s. Materials: oil on canvas. Dimensions: 41.9 x 33 cm. Sold by Christie’s in New York, on October 24, 2007. Source: http://www.the-athenaeum.org/art/display_image.php?id=64042. I have changed the light, contrast and colors of the original photo. Rubens Santoro – private collection. 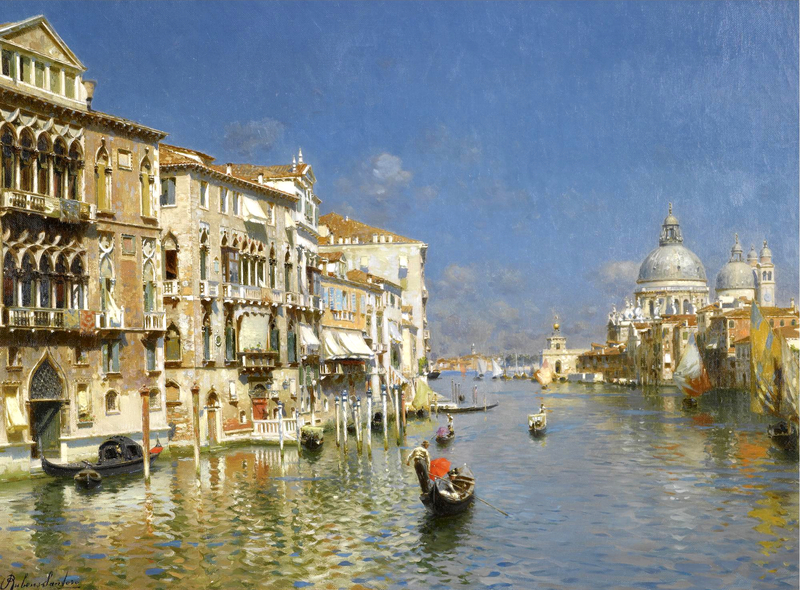 Title: Venetian Canal with the Campanile of the Frari in the Distance. Date: c. 1880-1940. Materials: oil on canvas. Dimensions: 48.2 x 35 cm. Source: https://i.pinimg.com/originals/48/ba/72/48ba72b53f41ca4dbd76250d8dd10300.jpg. I have changed the light and contrast of the original photo. Rubens Santoro – private collection. Title: A Family Outing on a Venetian Canal. Date: c. 1880-1940. Materials: oil on canvas. Dimensions: 90.1 x 64.1.8 cm Sold by Sotheby’s in New York, on April 23, 2010. 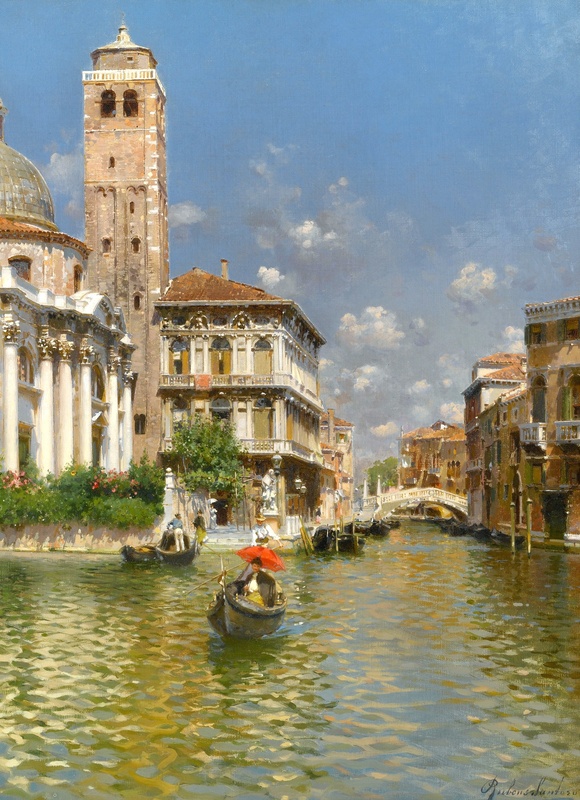 Source: http://www.sothebys.com/content/dam/stb/lots/N08/N08630/N08630-85-lr-1.jpg. I have changed the light and contrast of the original photo. Rubens Santoro – private collection. 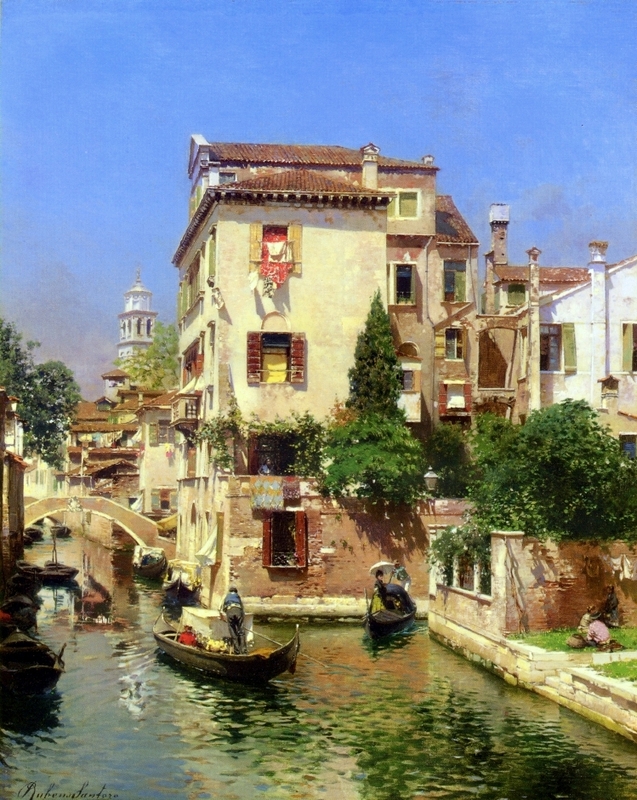 Title: San Geremia and Palazzo Labia, Venice. Date: c 1880-1940. Materials: oil on canvas. Dimensions: 50 x 37.5 cm. Inscriptions: Rubens Santoro (lower right). Sold by Sotheby’s in New York, on Novermber 22, 2016. Source: http://www.sothebys.com/content/dam/stb/lots/N09/N09566/148N09566_97HRR.jpg. I have changed the light and contrast of the original photo. Materials: oil on canvas. Dimensions: 33.5 x 41.5 cm. Inscriptions: Rubens Santoro (lower right). 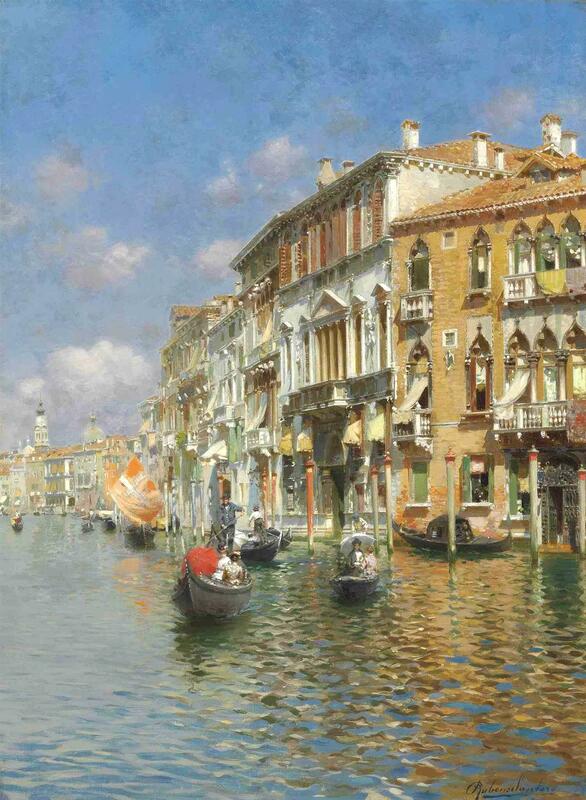 Sold by Bonhams, in London, on July 10, 2013. Source: https://www.flickr.com/photos/72655741@N03/9153626201/in/photolist-eWSJap-eX56jW. I have changed the light, contrast and colors of the original photo.